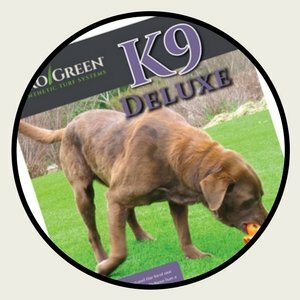 The Ultimate Solution for Canada's Dog Owners, Turf specifically Designed for dogs that offers the best drainage, cleanliness, safety and durability “Proflow™” ProGreen is proud to introduce a new, non-perforated backing that will drastically affect the drainage efficiency of our K9 Deluxe 60 and K9 Rugged 50 turf. 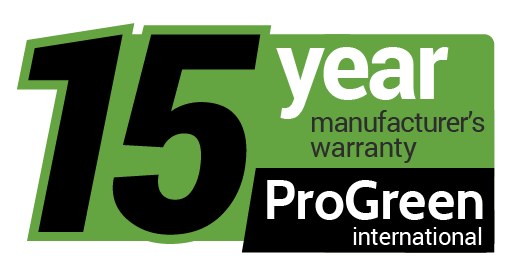 As with all ProGreen products, K9 Deluxe 60 and K9 Rugged 50 will continue to be made with polyethylene yarn, which does not hold moisture the way that nylon fibers do. Say goodbye to unpleasant pet odors and enjoy cleaner, drier artificial pet turf due to our patent-pending ProFlow™ backing boasting moisture resistant fibers improving overall drainage by approximately 400%. How does it drain without the perforations? Our ProFlow™ backing includes four vital layers: dual woven heavy gauge layers, a five pick layer and high viscosity polyurethane compound as a final coat. Before the final coat is applied the to artificial grass, air is injected to form air bubbles that create passages forming drainage that is free flowing. Will the air bubbles become smaller over time, causing problems with drainage? No! This patent-pending backing was designed and created to last the lifetime of the turf and eliminate the drainage problems commonly seen over time as particles clog the perforations. Finally, you will have a percolation rate that stays consistent throughout the life of the turf system. Constructed to withstand the best our furry friends dish out, K9 Deluxe has a 60 oz weight combining economy with lush practicality. ProFlow™ and Quadribind™ backing ensures maximum durability and superior drainage. Get all the specs in one concise PDF file, print at your leisure. 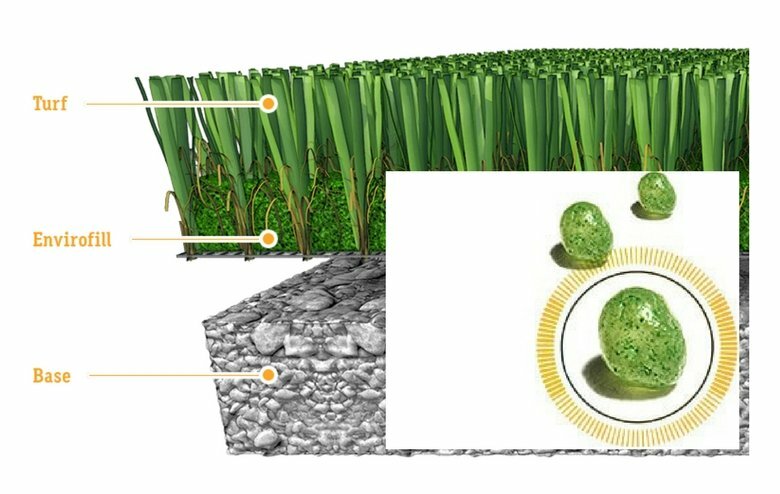 “Cool fiber technology” heat is reflected off fibers to 20-25 degrees cooler than conventional turf Cushioned and soft and dense fiber stitching for dog’s comfort underfoot. 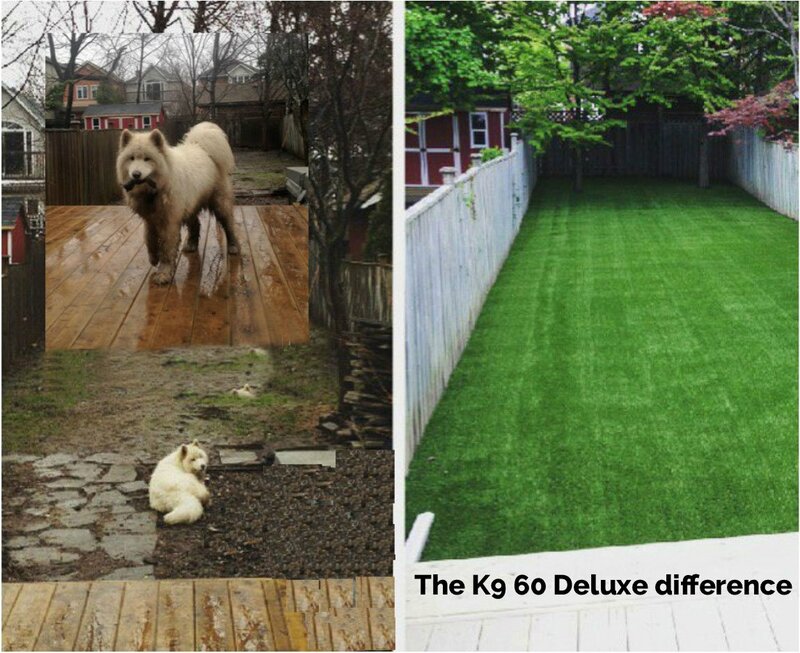 What dog owners are saying about our grass! When I got home after they completed the lawn, I was amazed! We had a golf green manicured lawn that will always look the same! It was a sight for sore eyes. It is soft and easy on the feet, and the dogs love it. 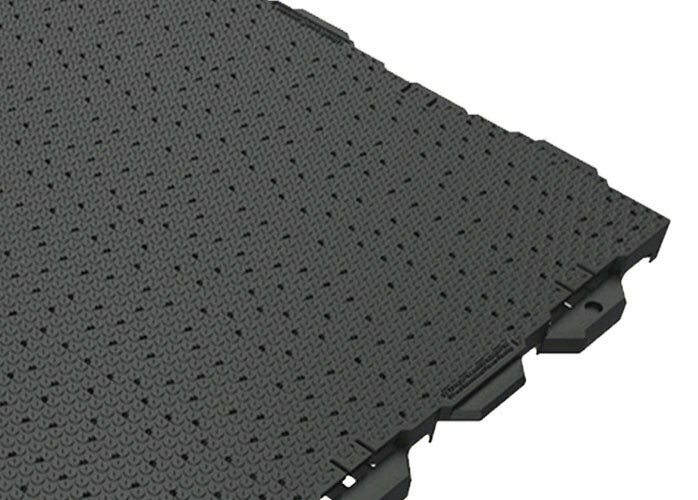 Ultrabase Panels Install Ultra-base panels under our K9 60 Deluxe providing an ever-lasting sub-base, fast draining and firm underfoot. UltraBaseSystems® is loved by Dogs and Pet Owners. Pet waste does not affect specially engineered polymers. Kennels as well as dog parks and dog runs both indoor and outdoor are well served by UBS panels. It is as simple as hosing down the panels and let drain. 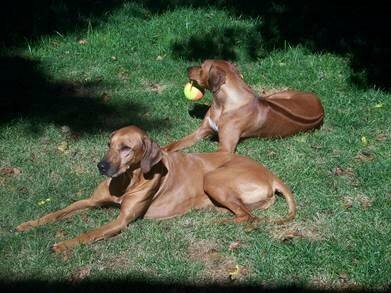 Even rambunctious dogs can enjoy safe play thanks to our lock-tight turf barbs restricting movement. 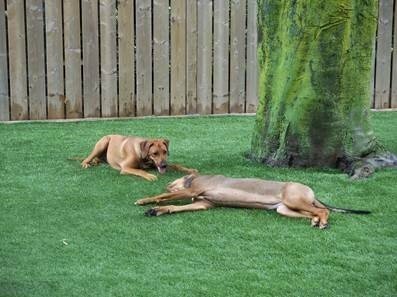 The UBS patented turf barbs keep the turf in place and, when sand infill coupled with a sanitary enzyme is added to the turf (to add a bit of ballast) and the turf secured on the perimeter edges, sit back and watch the dogs have a safe and fun time. In most cases, the feces are scooped up, and the pet urine is washed through the panels and into the ground or allowed to run under the panels into drain systems. Proper sanitation is always important in pet areas—they are part of the family you know! Our panels will drain at a rate of 1,582 inches per hour vertically with no turf. The water flow under the panels is evacuating at a rate of 126 inches per hour. Thanks for the help, you have a great product and I love using it. Makes my job easier for sure. 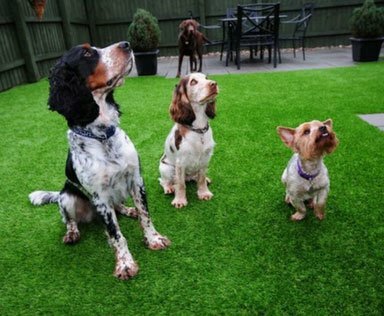 In life, there’s death, taxes and dogs peeing on your lawn…and when you have an artificial turf lawn, that can be a smelly situation. At ProGreen Canada, we take that matter seriously and have the perfect solution: Envirofill. Envirofill handles nasty bacteria, odors and mold through its proven technology also preventing related stains and odors. Dog pee is no match and remains smell free. Microban technology stops odor by keeping it at bay. Envirofill kicks in when your dog goes pee. The product is wonderful for pets and simple to install due to a rounded smooth shape. Compaction is avoided over time, granting better drainage. The product is green and nicely blends in with your artificial turf. Creating Better Turf Systems Together. Stop Odor Before It Starts. On unprotected surfaces, mold, bacteria and other micro-organisms can double every 20 minutes. Antimicrobial protection is incorporated into products during the manufacturing process. These agents stand up against bacteria, mildew, mold and other microbes by penetrating the microbe cell walls shutting down their growth and reproduction. They are designed to constantly resist stains, odors and product degradation over the course of the turf's lifetime. What you get is a fresher longer lasting product. Understanding the fundamentals of antimicrobial protection within odor control. Understanding how they function is critical to designing technologies that control the odors, stains and degradation they ultimately cause. Bacteria live everywhere including water, soil, air, animals, vegetation and people. Many of these bacterial strains are helpful to living creatures and our environment, even in our own digestion process. Other bacteria can be harmful and in terms of products it can cause stains, leave nasty odors and degrade their life. Antimicrobial protection extends the life of our products. Understanding Fungi - known as mold they develop as airborne spores microscopic in size. From their they germinate on nonliving moist organic matter. After a while it penetrates that organic material, then secretes enzymes allowing it to take up water and sugars from the source. There are many home based products that provide this nutrient source. The way to tackle is this is via prevention by reducing household moisture and by using mold resistant products. Microban antimicrobial protection does this and thus stays cleaner for a longer time. Algae is on our our planets leading producer of oxygen, infact more than all plants combined and thus are vital for the ecosystem. But for humans it can be good and a nuisance. Good for meds, shampoo and food, bad for pool filters, boats and house exteriors. Our antimicrobial technology is designed to hinder the rampant growth of this damaging algae. Be sure to use antimicrobial fabrics that capture bacteria and shut down growth and odor.